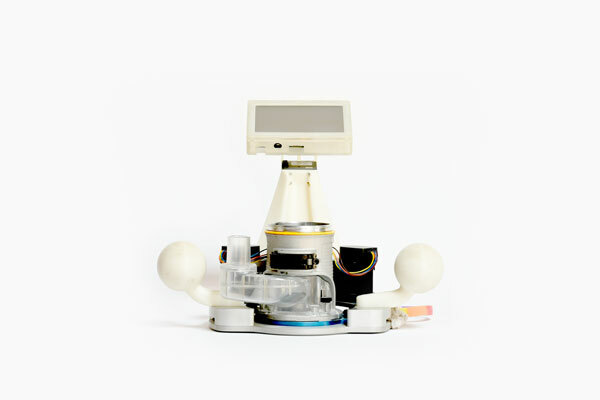 Shaper is a human-involved robotics company focused on making precision cutting easy and accessible. We believe strongly in bringing the tool to the user, rather than expecting the user to conform to the tool. Mixed reality enables our intuitive and efficient user interfaces. Our team is composed of experts from a wide variety of backgrounds, including computer vision, machine design, film, consumer electronics, woodworking, augmented reality, and more. This breadth and depth of experience provides a unique perspective necessary to create entirely new classes of tools that bring precision work to the next level. Do you have something to add to the mix? Drop us a line. While on leave from his PhD at MIT, Shaper co-founder Alec Rivers was faced with a challenge. He had spent hours attempting to build a picture frame using tools given to him by his grandfather, and couldn’t quite get the corners to line up without a gap. Realizing that his hand skills weren’t yet up to the task, Alec wondered whether he could use his computer science background to reduce his learning curve. 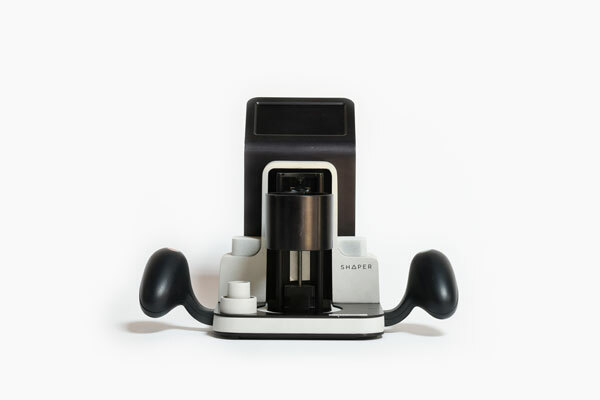 The key idea behind Shaper’s revolutionary technology was born: auto-correct for your hands. With the help of a friend, Alec built the great-great grandfather to Origin. A single motor shifts a woodworking router left and right to compensate for human error as a watchful camera and Alec’s computer vision algorithms constantly measure its position on the workpiece. The user simply steers the tool approximately along the desired path, and the device makes minor corrections to achieve a perfect cut. Alec returned to MIT and his PhD with his prototype in hand, where he was soon introduced to Shaper’s other co-founder Ilan Moyer. Ilan had a background in building digital fabrication tools at the MIT Center for Bits and Atoms, and it wasn’t long before Alec and Ilan had joined forces. They quickly realized that in order to be usable, the tool needed the ability to correct for errors in any direction on the workpiece, not just left and right. Several months and many concepts later, Ilan came up with the unique eccentric-driven positioning mechanism that we use to this day. Within days an acrylic prototype had been laser-cut and assembled. 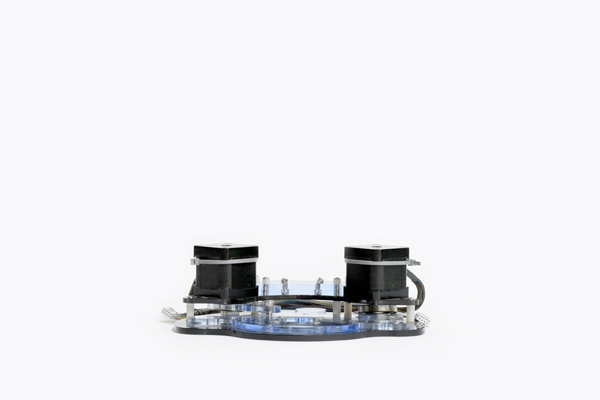 This both proved out the functionality of the two-axis mechanism and gave Alec a testbed for code development while Ilan designed and built the hardware for their first real prototype machine. The great grandfather of Origin was built largely at MIT’s Edgerton Center Student Shop from CNC machined aluminum and 3D printed plastic parts. It was the first prototype to feature essential elements like two-axis correction, handles, a touch display, and dust collection. The electronics were a medley of off-the-shelf modules combined on a small custom printed circuit board. This prototype was initially the subject of an academic paper published in SIGGRAPH in 2012, and later served as a workhorse throughout the founding and initial years of our company. With it we raised investment, built countless objects including a queen-sized bed frame, and demoed to thousands of people. After logging hundreds of hours of use it was retired in working order shortly after Maker Faire in 2014. With our next round of prototypes, code-named Armstrong, we incorporated many of our learnings over the first two years. 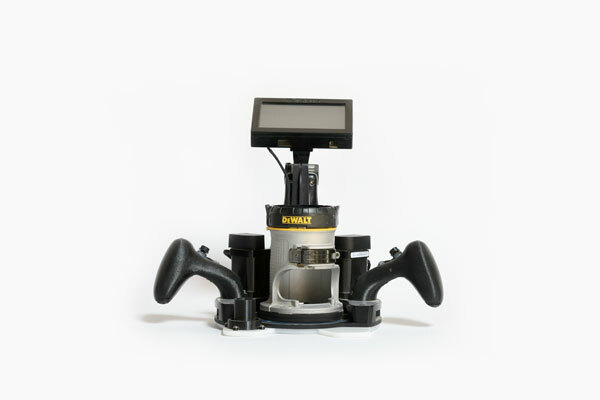 These include control buttons on the handles, a rigidly mounted camera, and custom electronics. We also began experimenting with various construction techniques that would be well-suited for mass-production. And unlike our prior prototypes, we built multiple copies to support the development activities of our growing company. Three Armstrongs were built in total, and they remained in service for roughly a year before being supplanted by a new prototype revision. 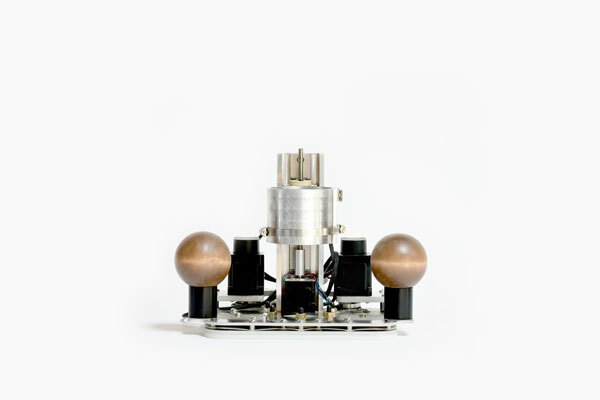 One of the most-requested features for our Armstrong prototype was automatic plunge and retract. Originally, the user was asked to manually set the depth of cut and then “tilt plunge” the spinning cutting bit into the workpiece. And with no mechanism to retract the bit if the user moved the tool too far off the plan, there was the possibility that the workpiece might be marred. In January of 2015 we constructed a platform for rapidly testing ideas related to adding a third degree of freedom to Origin’s automated stage. 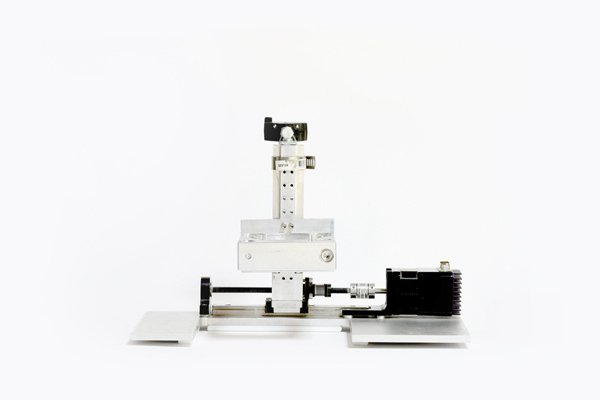 The resulting hardware was used heavily to support developing the basis of our precision Z axis, and in inventing new essential features like our innovative automated tool touch-off. After internal testing and sharing our prototypes with others, it became clear that the experience of interacting with Origin - starting with the first encounter - would play an essential role in making it a tool that people would love to use. With this in mind, we set about combining all of our technical learnings with an additional set of design considerations to result in our next prototype, code-named Brubeck. 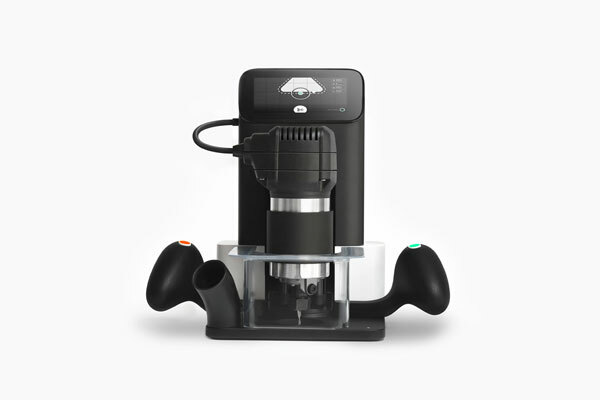 New features such as ergonomic handles, improved dust collection, automated plunge and retract, and encoders for closed-loop control of the positioning stage, were merged into a cohesive new industrial design with a highly refined and intuitive user interface. 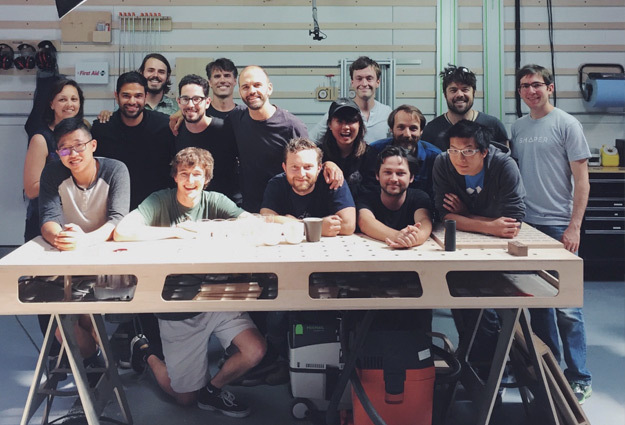 We built 12 Brubeck prototypes and kicked off our Shaper Beta Program in July 2015. Shaper Beta provided invaluable insights into our users, our hardware, our software, and the true power of mixed reality fabrication. All of our learnings have been funneled into improvements to Origin’s reliability, performance, usability, and manufacturability. 5+ years of development and thousands of hours of testing later, we are thrilled to be heading to production with Origin - the world’s first handheld CNC machine. We can’t wait to see what you will make.